Let’s Roll Back The Years Together With……. Now you may be wondering what is this microneedling procedure that everyone is doing now. 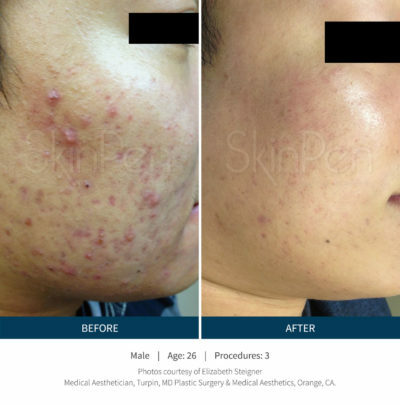 Well, this procedure is a no down time, self-repairing , make your skin look amazing treatment. It’s a unique hand piece that allows the Aesthetician control speed and depth. It has fine needles that creates small puncture’s in the skin, but don’t worry we do numb the face before starting the treatment. The neat thing about this treatment is it prompts your body to to self repair it self from the inside out. Microneedling shifts the skin into high gear to start producing collagen and elastin to repair itself. Now that you know what and how Microneedling works let’s talk about the benefits of it. Call to schedule your consultation with us!!!! !